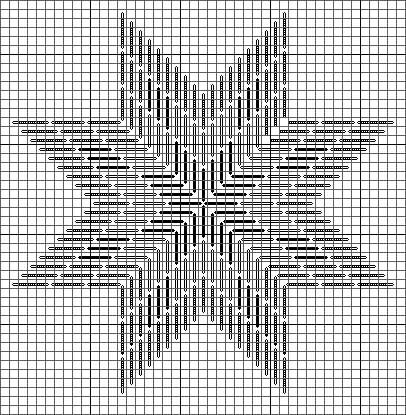 The post with the basic eight-point star pattern reminded me how much fun these patterns can be. So today I wanted to share with you some of the variations I have made. 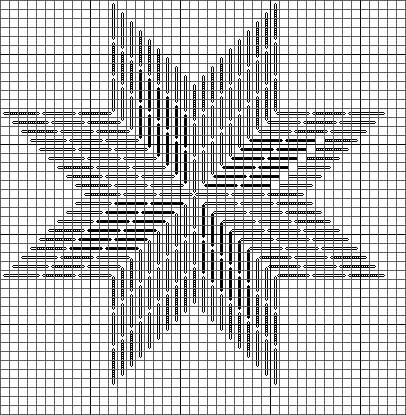 Connecticut Star, above, has narrower points with a fun checked border. It’s a classic in red, white-and blue, but this could be fun in all kinds of combos. Why not use paint chip suggestions as a start? National Star, above, is another eight-point star variation. In this the points are checked but and the border is solid. 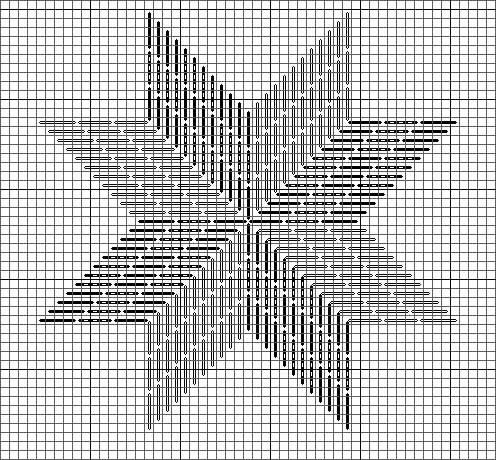 I’m thinking about doing one inspired by the Maryland Flag, making both points and border checked..
Baby Star, above, is a tiny version of the star, encased in a straight stitch border. Since it’s less than 30 stitches square this would be dainty even on larger mesh canvas. 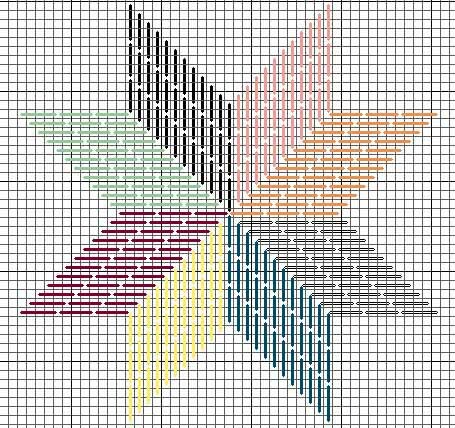 Star of LeMoyne was the first eight-pointed star I stitched, back in 1979. The larger points are checked, while the smaller points are solid. It’s the one I use to test color combinations. The final pattern is a scrappy star, above. In this one every point is done in a different thread or color. The chart is done in color so you can get a better idea of how scrappy it is. Have fun trying threads, colors, and using your stash to make some fun, fast projects, I know I am. Thank you for sharing – I enjoy your column everyday and apppreciate your knowledge and generosity! Thanks for the star charts. What a great project to use some of my stash.